Having already been to Barcelona once before I wanted to experience the city in another way. A cooking class was in the back of my mind, but I didn't research anything before our trip so when we happened upon the Cook and Taste store front I was delighted! Eliza and I signed up for the market tour and cooking class so it took the better part of a day, but it was loads of fun. The day began with a trip with our chef to the local market. 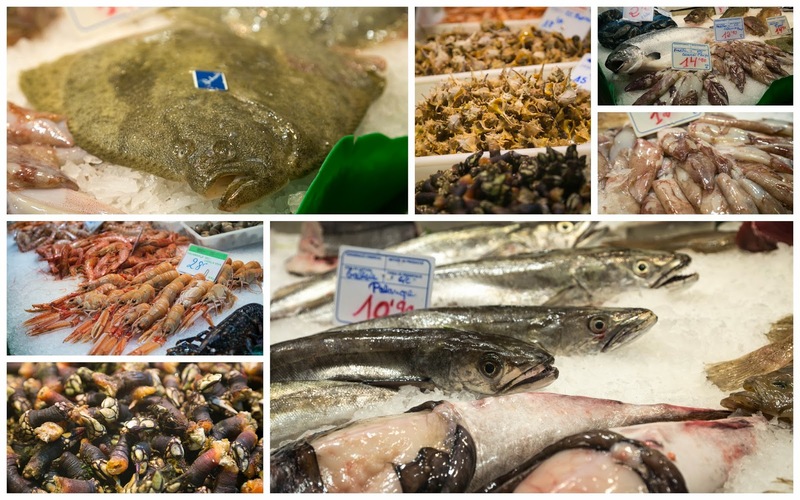 We got to taste a few things like salt cured cod, fruit and ham while she chose fresh ingredients for our seafood paella. She then gave us a tutorial on those ham legs hanging from the ceiling and why they cost so much. It was super interesting actually. The most expensive legs are from pigs fed on acorns then aged 3-6 years. Back at the kitchen we were each given a job to do so it really was a team effort. The menu included tomato rubbed bread, jambon (€116/kg), two gazpacho soups, a veggie appetizer, paella and cream brûlée for dessert. Truth be told, I was not a big fan of the seafood paella, but everything else was really, really good. The chef did a good job managing our tasks, explaining what we were doing, how to do it right and even threw out a batch of pesto when it didn't turn out right. She said, "if it doesn't taste good today, you will never make it at home, so we begin again!" This was such a fun activity to share with my daughter, but equally enjoyable was getting to meet the other tourists in the group. 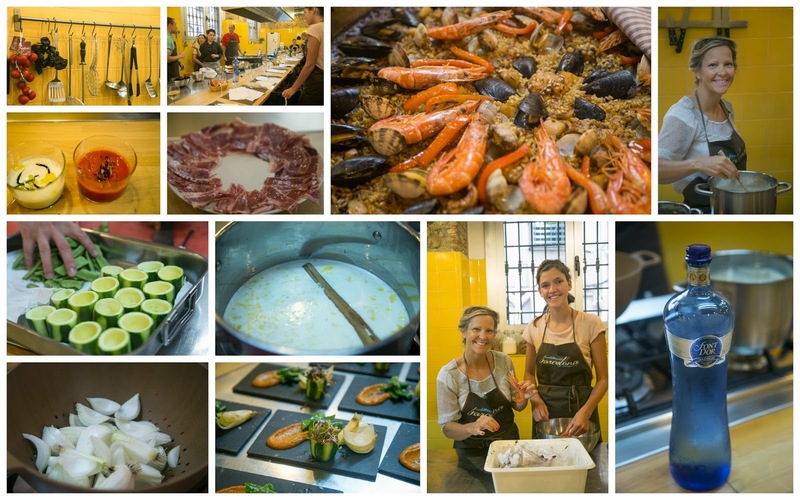 If you are in Barcelona I would totally recommend the cooking class.